Treated Geo-Jutes are natural jutes that are 100% bio-degradable. Fully biodegradable within 2-3 years. Can absorb up to five times its own weight in water. Holds soil and seeds in place. Can be used in all climate and soil conditions. Used as an inhibitor for erosion on steep slopes. Functions as a filter, which prevents finer particles from entering the stream and collecting particles already in the stream. Used in combination with Soil Lynx for superior revegetation capabilities. 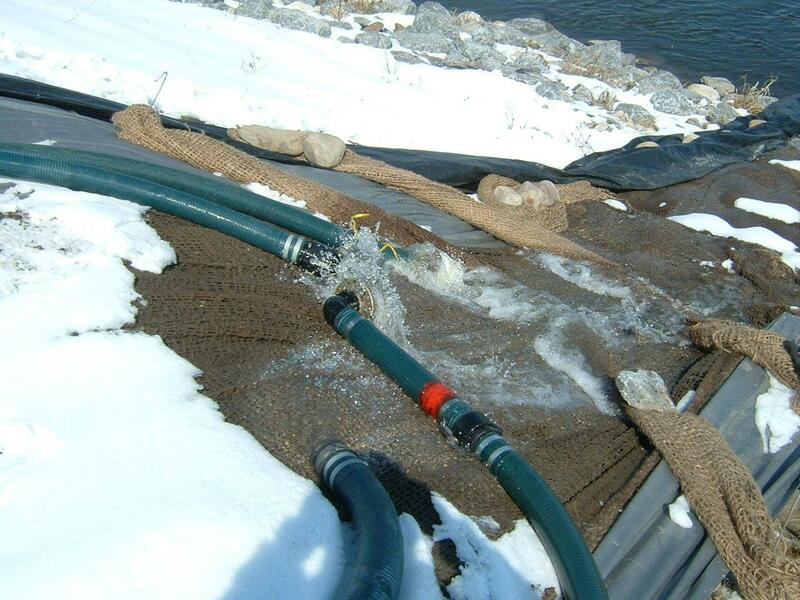 ClearFlow ™ Treated Geo-Jutes are erosion control blankets that are made up of a loose weave of geo-jute. This product is made with completely natural and environmentally safe materials, which makes it fully biodegradable within 2-3 years of initial application. These Geo-Jutes are frequently combined with ClearFlow ™ Soil Lynx for superior surface erosion control. The weave of the blankets provide a superior medium for plants to establish and grow. ClearFlow ™ Bazooka is a portable water-treatment system which turns run-off water into clear water in seconds. ClearFlow ™ Soil Lynx is used for revegetation and soil tackification. It holds seeds and fertilizer firmly in place. Water Lynx Blocks heavily reduce the amount of heavy metals and other nutrients in runoff water.